When it comes to finding your prospect B2B leads online, organizations need websites that convert visitors to sales leads, usually by filling out a form, downloading a case study, etc. The only problem with this approach is that usually 98% of visitors do not leave any contact information behind and only few visitors convert to sales leads. At the same time, the most widely used web analytics tool – Google Analytics – is installed on 55% of the top 1M websites in the World, where by default it provides a vast array of data on visitors, including some that can be used to know a bit more about that 98% that did not convert. 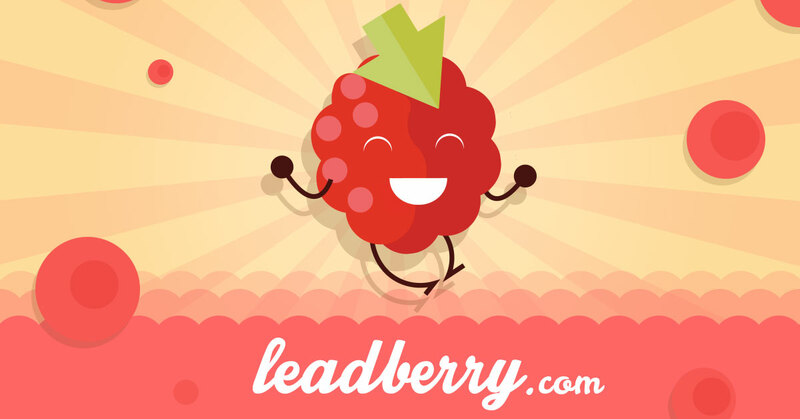 Leadberry.com came recently forward with a game changing idea: Powered by Google Analytics Leadberry identifies B2B visitors (i.e. companies, organizations) that viewed any website and gathers business, contact, visitor and social data automatically about the prospect companies. It instantly connects the sales and marketing team directly with a full spectre of social data and useful business contacts to reach future partners, potential clients. The best part is that this B2B sales generation tool is extremely easy to set up: all you need is connect your Google Analytics account with Leadberry, and possible business prospects are delivered to you right away. Besides mailing address and phone numbers, Leadberry offers you other contact data from the visiting party: social data such as Twitter and Facebook pages, mutual LinkedIn connections. It is important to note that relying on Google Analytics and other trusted databases, Leadberry only identifies companies and organizations, excluding individual visitor identification. Based in Los Angeles and in the city of Budapest, Hungary, Leadberry operates as a start-up and love project of a next gen digital agency, Brandlift. Built with the contribution of developers, tech thinkers, researchers and UX experts, the core idea is to provide the non-geek target group and marketing community with a solid & valid amount of data for lead generation, a different way. Leadberry.com is still available in free BETA and already the highest rated Google Analytics Technology Solution application on the market. As the creators have told us, they encountered quite a few experienced subscribers who required personalization right away. This was a great opportunity for testing and enhancing Leadberry for the specific needs and demands of high profile companies and agencies. At the moment, most of the subscribers come from real estate companies and from the finance, automotive and professional services sectors as well, and range from small & mid-sized companies to large enterprises. If you have even the slightest interest in identifying future partner companies behind anonymous page views, with Leadberry you can safely go ahead without being a marketing guru, nor an IT ninja. A good look at the number of visits and the time spent on your website + the social data available, will give you a pretty good guess and insight to estimate how serious the interest of any visitor is in your service. What we have at the end of the day is an easy-to-use B2B software supporting your sales process coming from Leadberry. With automation and the help of the proprietary algorithm filtering out spammers and internet service providers, relevant companies and their social data make sure that lead generation becomes easy to handle.